Allard Arisz is definitely a glass half full character. After 16 years in the wine distribution business, his Amsterdam North warehouse burnt down on March 7th this year. 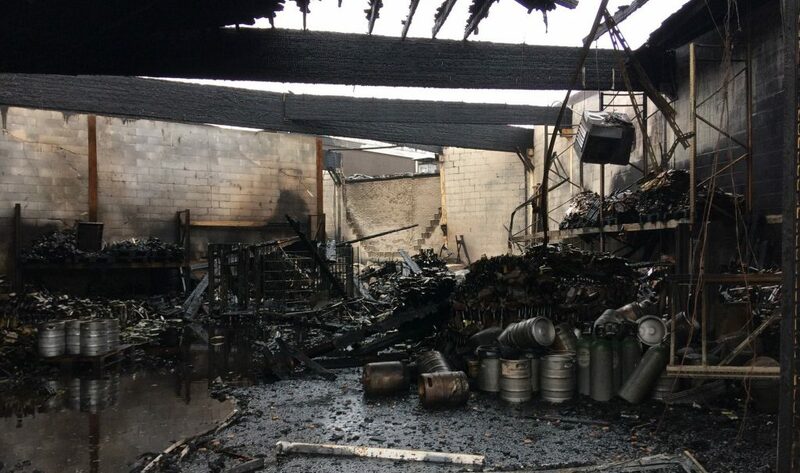 Some 30,000 bottles of wine were destroyed in the blaze, representing most of the company’s stock. Some might take that as a sign, time to shut up shop or go into a different business. But Allard and his business partner Suzanne van Dalen did nothing of the sort. 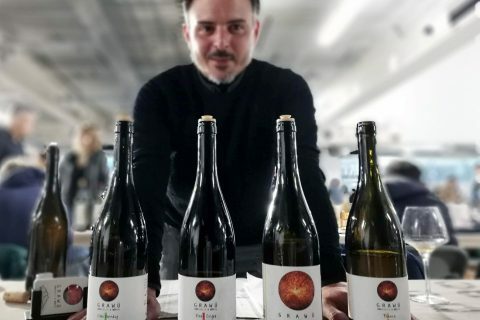 Panic emails were sent to the company’s suppliers (European wineries), and within just one week, Arisz et al had replenished about 50% of its stock levels. It took no more than a month to get back to normal trading and to replace the entire stock. Still, that left a big problem: The warehouse was not insured. As Allard explains “In the early years the business was more of a hobby, so we never thought about insurance. Then it was too expensive, then we started thinking maybe it’s time to consider it”. The company now had a huge financial hole where its profit should have been. The solution was an imaginative crowd-funding campaign, wryly titled “roast”. 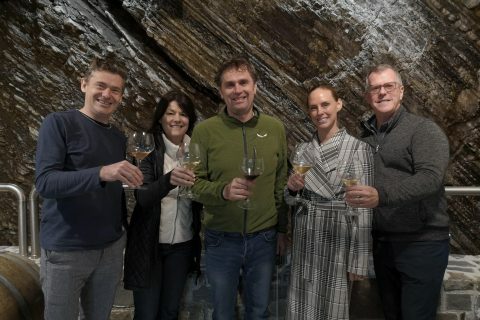 To date the campaign has raised €15K, and delivered its donors a smorgasbord of Amsterdam fine dining, wine tastings and gifts. 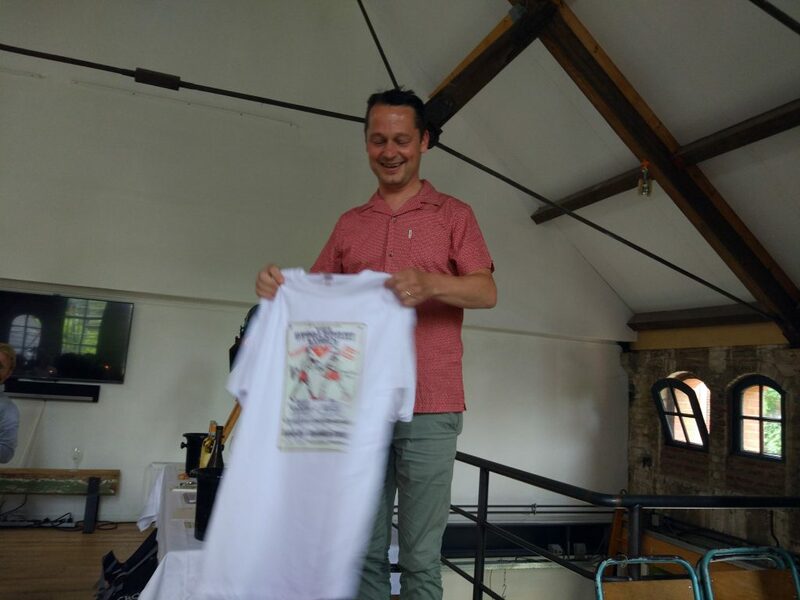 One of the final events offered, for a very modest €60, was The Ottolenghi Battle – a “taste off” featuring Grüner Veltliners from Davis Weszeli (Kamptal, Austria) versus Vermentino from Capichera (Sardinia, Italy). The concept, suggested by a chance comment in a Jancis Robinson tasting note, was three courses of Ottolenghi-inspired food, each with two wines to match. 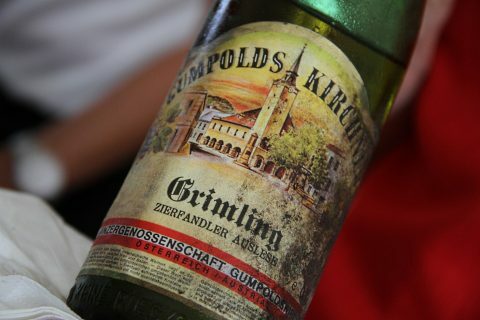 Guests decided which wine matched best with each course, and votes were counted at the end of the evening. Davis himself, and Emanuele Ragnedda from Capichera were in attendance to pour the wines. Food and wine matching is always fascinating, and it’s not so common to get the chance to do proper “A/B testing” like this. It helped that the food, cooked by Amsterdam Flavours chefs Bernadette Evers and Mischa Winter, was an absolute delight – fresh, understated and free of pretension, with a subtle hint of the exotic. 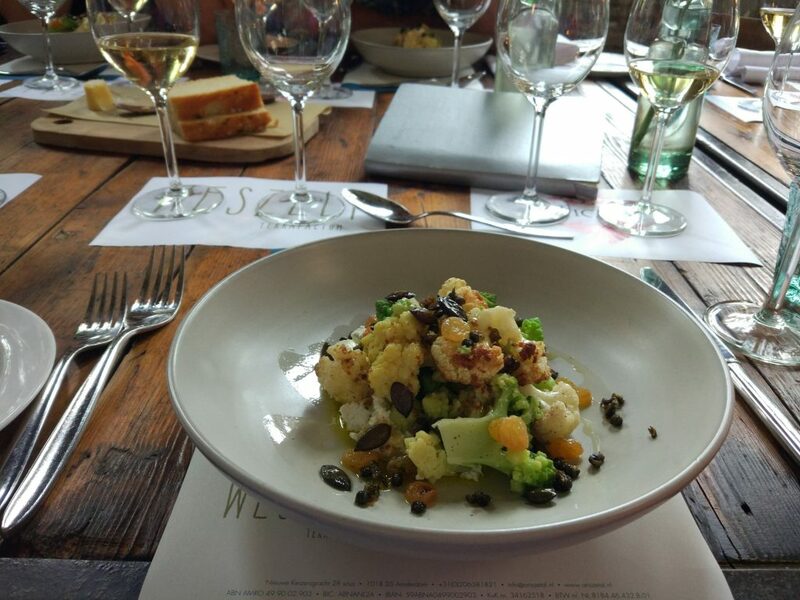 The cauliflower salad with golden raisins, ricotta and capers was a beautiful match with Weszeli’s Grüner Veltliner Purus 2013, whose lively citrus peel and peppery, honeyed hints really lifted the food. Capichera’s Vermentino Vign’angena 2015 had charming aromatics and a nutty fruit core, but felt throttled and harsh when paired with the food. It was one-nil to Austria. The Ottolenghi Battle wasn’t at all about competition, it was a celebration of great wine, and of Arisz et al’s triumph over adversity. Next up was a soft, flaky fillet of ray served with pine kernel and pistachio crumble, rocket and parsley vichyssoise and haricot bean salad. 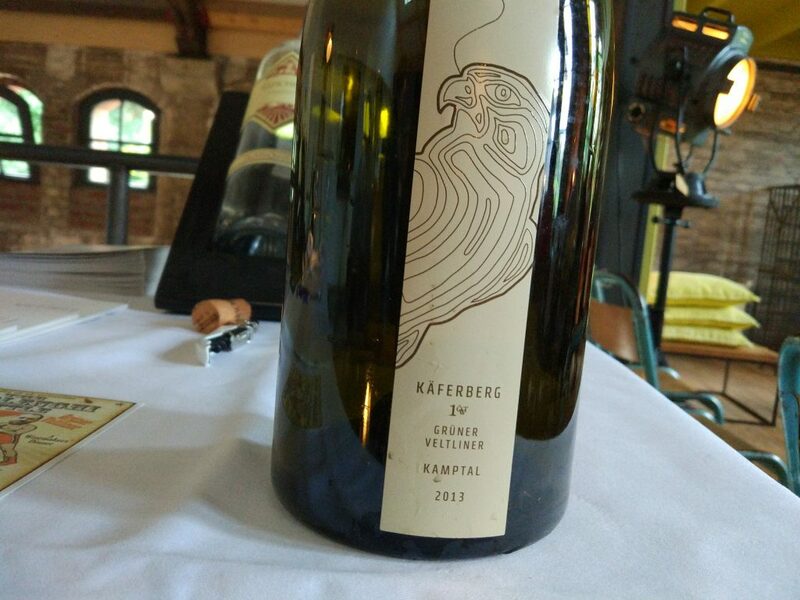 I tasted Weszeli’s Grüner Veltliner Käferberg Erste Lage 2013 before the dish, and was blown away. 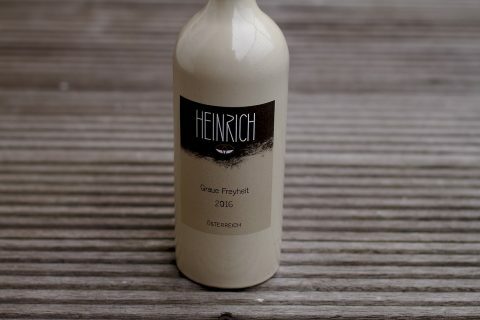 A fantastic glass, with concentrated spiced apple fruit and a beautiful, silken finish that just exuded elegance. Yet it overpowered the delicate flavours in the dish, and didn’t work at all in combination. 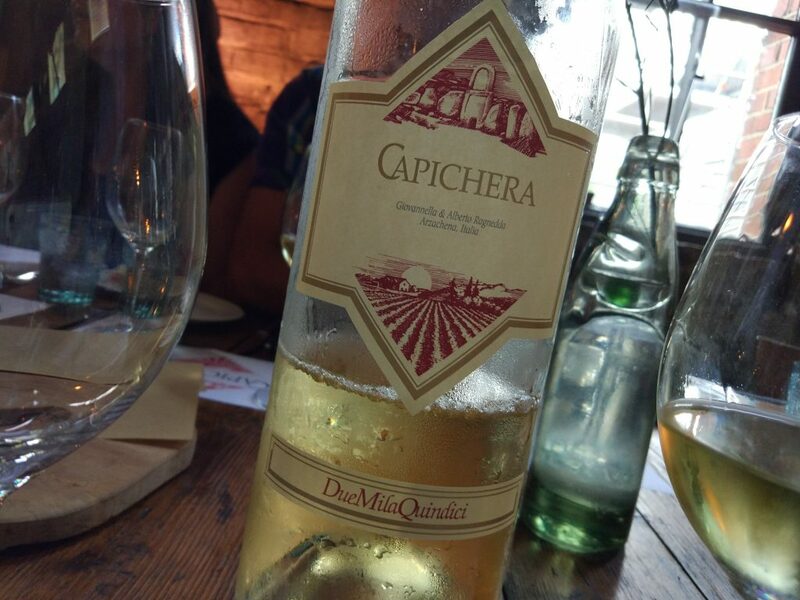 By contrast the salty, tight weave of Capichera’s Vermentino Classico, rather closed on the nose but exuding ripe pear and guava flavours, proved to be the perfect foil, complimenting the food and not getting in the way. As dessert only featured a wine from Weszeli, it was a straight 1-1 tie for The Morning Claret. Although Weszeli later stole the crown, I suspect it was less to do with the food match and more that the Käferberg was so irresistible. Nonetheless, Davis charitably wrote afterwards “The Ottolenghi battle ended up with only winners at this very special evening”. 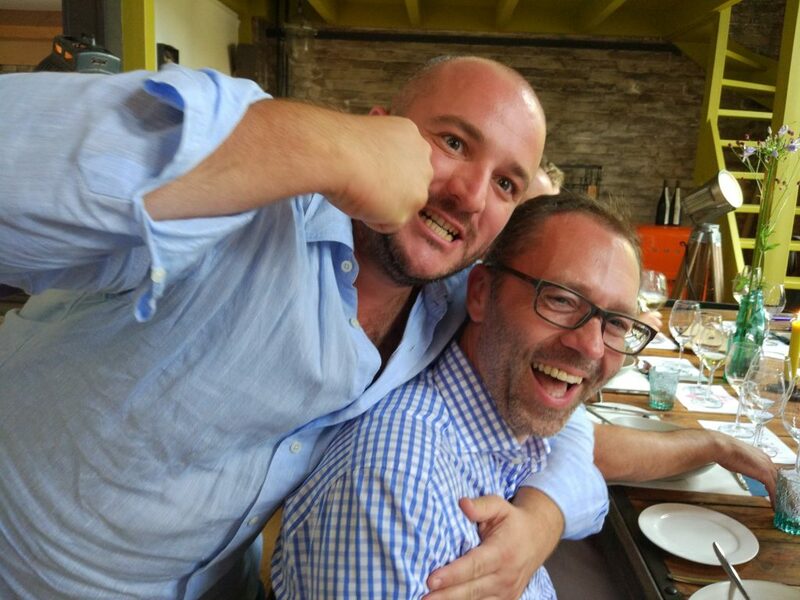 He was absolutely right – The night wasn’t at all about competition, it was a celebration of great wine, and of Arisz et al’s triumph over adversity. Donations are still open for Arisz et al’s crowdfunding campaign, and there are some pretty special perks on offer. 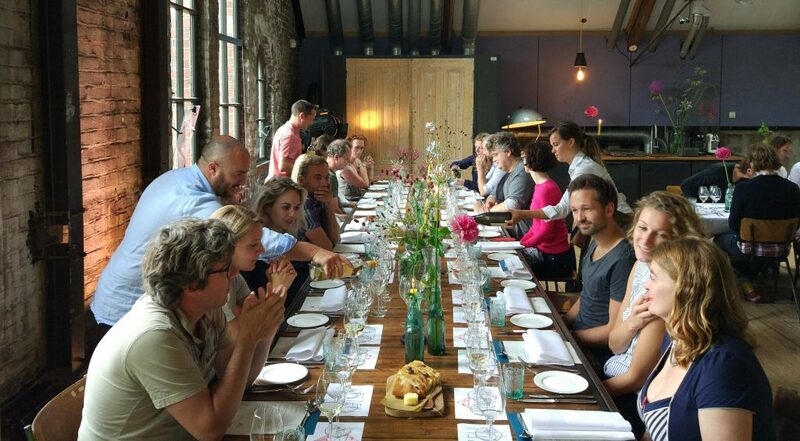 Arisz et al supplies restaurants across the Netherlands. 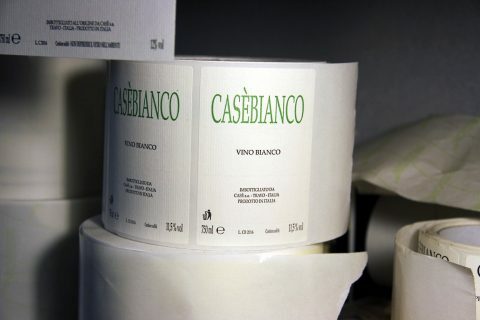 You can enjoy wines from their selection, including Weszeli and Capichera, at Bufet van Odette and Plantage amongst others. Is Bina 37 Georgia’s most bizarre winery?